For some, Memorial Day is a deeply personal holiday, a day for remembering those who have served the people of our country. Participating in these Memorial Day celebrations and ceremonies can also be a form of placemaking, strengthening ties to community spaces and encouraging social interaction between generations. These events also offer a chance to personally thank local veterans and recognize them for their bravery and service. Ceremonies to honor veterans on this holiday often take place in outdoor, common spaces such as Main Streets, sidewalks, and town commons. As friends, neighbors, and community members gather in these areas, opportunities for small acts of kindness arise. For example, families can bring a bouquet of daisies or loaves of fresh baked bread to a Memorial Day parade to share with veterans as small tokens of gratitude. Memorial day parades thus invite people to engage with their communities in placemaking. Participating in parades by marching alongside an organization or viewing the parade from a common space thus supports individual health and well-being by strengthening a connection to place. 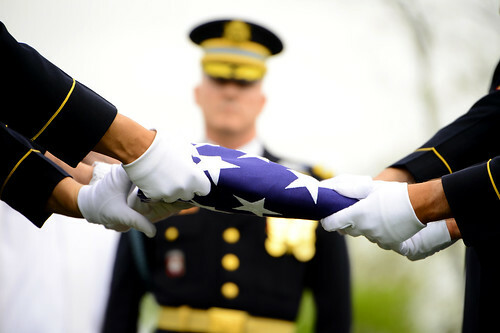 Memorial Day honors those veterans who died serving our country in the armed forces. Many of the ceremonies take place in outdoor, common spaces, such as Main Streets, town commons, and downtown sidewalks. Community members gather together, in the spirit of kindness and compassion, to show gratitude for those who dedicated their lives to serving our democracy. During these parades and outdoor ceremonies, folks bring bouquets of flowers, fresh baked bread, and other small tokens of kindness to share with veterans still living, in appreciation for their service, and that of their fellow soldiers who lost their lives. Memorial Day parades are an opportunity for place-making and intergenerational dialogue. Community members of all ages come out for the day’s ceremony and parade, while many of the activities take place in the gathering spaces of a town. It provides a space for neighbors, families, and friends to spend time together in a communal place. 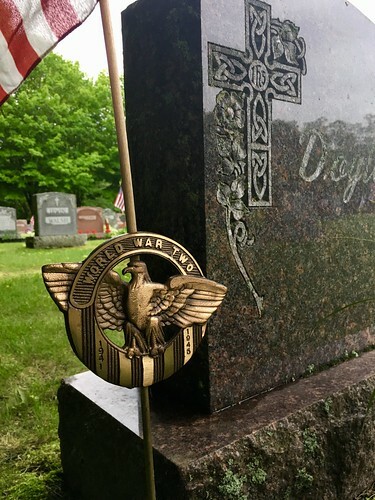 Many Western Massachusetts’ towns ask their historical societies to organize events around Memorial Day to help us learn about local history and about those who served our country in the distant past. 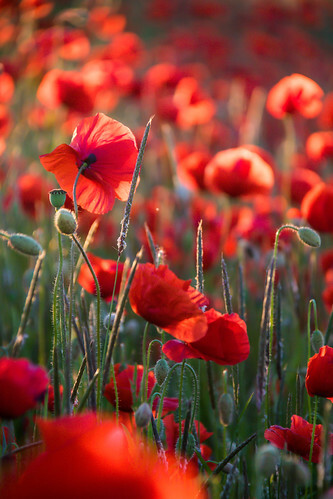 It is a day of remembrance from both a contemporary perspective and a historical perspective. 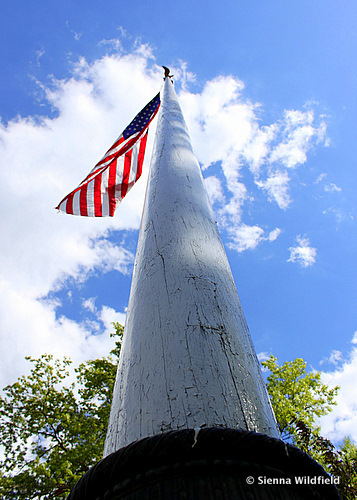 In the past, the following towns have hosted Memorial Day parades: Amherst, Agawam, Athol, Chicopee, Easthampton, Florence, Great Barrington, Greenfield, Hadley, Holyoke, Housatonic, Plainfield, Pittsfield, Stockbridge, Westfield and Williamsburg, among other towns in the region. How does Walt Whitman’s poem “Ashes of Soldiers” attempt to honor those fallen soldiers who may no longer be remembered? Why did Whitman write this poem for them? Does your town have a Memorial Day parade? When did it get started? Who started it? Check out your local history society or library for more information! What Memorial Day traditions does your family celebrate? 35 Community Highlights: Rhubarb to Butterflies. Turtles to Trolley. Rhubarb to Butterflies. Bedrock to Marble. 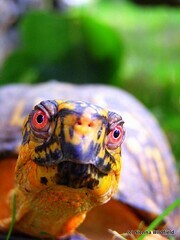 Turtles to Trolley… These are just a few of the learning highlights we’re featuring this week! Peruse our list and make plans to get out into your community and learn while you play! There’s fun stuff happening over the next few days! Down in the Pioneer Valley, families can check out the Amherst Town Fair on the Common all weekend, and take in a concert with Mister G at the Eric Carle Museum on Saturday. Also in the Valley, Look Park in Florence turns on all their amenities too, including their water park and paddle boats! In the Hilltowns, the Massachusetts Sheep & Woolcraft Fair happens all weekend at the at the Cummington Fairgrounds with loads of hands-on learning opportunities, fiber arts, and animals. Out in the Berkshires, there’s a Community Bike Ride in Pittsfield, Rhubarb Festival in Lenox and HoorWA’s annual Riverfest in Williamstown. Then on Monday are Memorial Day Parades in various town across the region! Check out our short list of parade highlights! Saturday, June 5th, 12noon-4pm: Holyoke Youth ExtravaGREENza, Nuestras Raices Farm “La Finca,” 245 High Street, Holyoke. Students from Holyoke Works’ new Green Careers Program share their work on environmental issues: global warming and climate change, recycling, increased bike use in the city, safe chemicals in the workplace and at home, energy audits and weatherization, and school and community gardens. Nuestras Raices’ Food and Fitness Project will kick off the event with a “Raw Feast.” Following lunch there will be interactive learning opportunities by all groups, with music and a green-themed raffle. For more information, contact Laura Porter at Holyoke Works at 413-532-2683 or email lauraporter@yahoo.com. 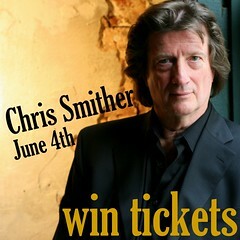 On June 4th, Chris Smither will be performing a Friday night fund-raising concert at Memorial Hall in Shelburne Falls for the Pioneer Valley Chinese Immersion Charter School … and we have a 4-pack of free tickets along with a signed CD to offer one lucky person! Deadline to enter to win is 05/28/10. Find out how to enter to win HERE. BECOME A SPONSOR: Hilltown Families supports sustainable development of our local economy. Local businesses, individuals, institutions and schools are encouraged to become sponsors and communicate with our large, family-oriented audience. Get the word out about the valuable services you offer while you support Hilltown Families’ work in building community. Please email hilltownfamilies@gmail.com for details. Michael Kalagher of Plainfield, MA writes: Richard Shephard from Cummington is using his talents to assist environmental groups in documenting the tragedy on the Gulf Coast. See some of his work at www.rsairphoto.com. There is also an important blog you can link to from his site. Beth Skolnick Bigelow wrote: There is a Native American Indian Pow Wow this weekend (Sat, Sun and Mon) at Indian Plaza, Route 2 in Charlemont, MA. It is a nice family event. VOLUNTEER OPPORTUNITY: West County Resilence Conversation is looking for volunteers to help during Riverfest in Shelburne Falls on Saturday, June 12th. Click here for more info. 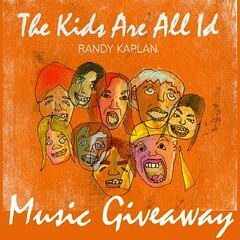 MUSIC GIVEAWAY: Randy Kaplan has released a new family CD, The Kids Are All Id, and we have a signed copy to giveaway to one luck family! Deadline to enter to win is Wednesday, June 2nd 2010. Click here to enter to win. GIRLS ART CAMP IN THE HILLTOWNS: ArtStar Girl’s Camp in Williamsburg (June 28th-July 2nd) (July 5th-July 9th) for girl’s between the ages of 8-12 will spend the day (10am-2pm) creating batik, silkscreening and tie dye as well as experiencing hand sewing and book making! Girls will be encouraged to explore their own artist expression in a relaxed lounge like environment at the private home studio of Marie Westburg, artist and Art Therapist. Sessions are limited to eight so sign up now! Cost is $180 per child. See artstarlounge.com for more information, or email artstarmarie@verizon.net. CHORUS AUDITION: The South Hadley Children’s Chorus will have auditions on Wednesday, June 2nd in 10-minute “slots” between 4-6 pm at the Center Congregational Church. Boys and Girls ages 7-14 from many Pioneer Valley towns, rehearsing Wednesday afternoons in South Hadley, from early September thru mid-May. We sing all sorts of songs—“classical”, folk songs, Broadway and jazz tunes, in English and many other languages. Audition is informal & painless. Tests your ability to read words and “echo” the pitches you hear sung to you. Older, musically-experienced children may be asked to show knowledge of music notation. To schedule an audition time, parents should call or email Director Cathy Melhorn 413-548-1098; cmelhorn@mtholyoke.edu. TICKET GIVEAWAY: Hilltown Families and Iron Horse Entertainment Group have partnered up to offer a chance to win free tickets to see adult venues in Northampton, MA for a PARENTS’ NIGHT OUT! You pay for the sitter, we’ll pay for the tickets! 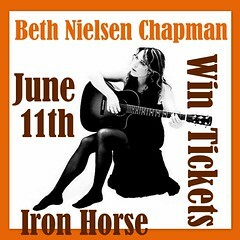 This month we are pleased to offer a chance for two folks to win a pairs of tickets to see celebrated Nashville singer/songwriter Beth Nielsen Chapman as she returns to the area with a powerful new album, Back To Love. Click here to enter to win. FREE HOME ENERGY ASSESSMENTS: It may be hard to believe right now, but snow and cold will be coming back! No time like the present to call and schedule your no-cost home energy assessment. Slots fill up quickly, so call today. 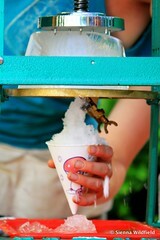 It is free and there are great incentives to be had! WMECO and other gas and electric utility companies offer this free assessment to residents through Mass Save, the statewide home energy efficiency program. There are no income requirements to participate, and incentives include up to 75% off up to $2000 in insulation upgrades, and an even better deal on air sealing. Call 866-527-7283, or visit http://www.masssave.com for more info. ADVERTISING & ANNOUNCEMENTS: Deliver your message to a large local family based audience while supporting the work of Hilltown Families. Advertise your event, camp, workshop, fundraiser, business or announcement here in the Bulletin Board section of our List of Weekly Suggested Events.